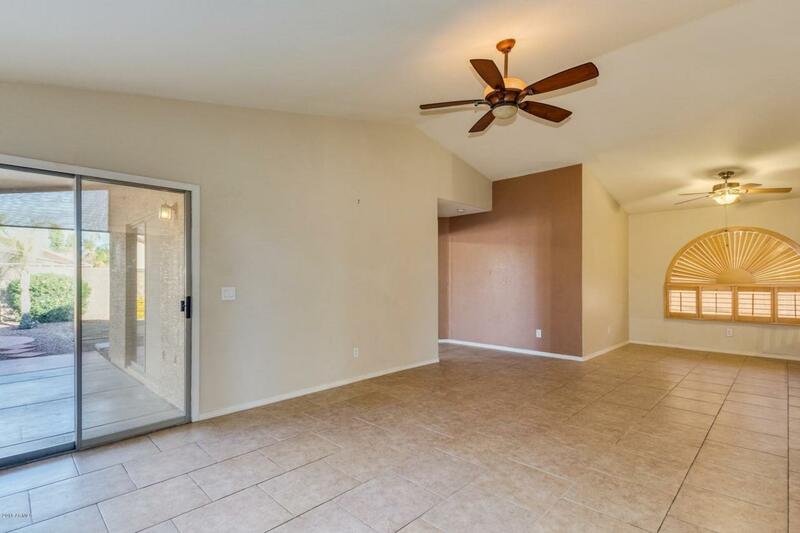 Cozy 3 bedroom, 2 bath home is Surprise. 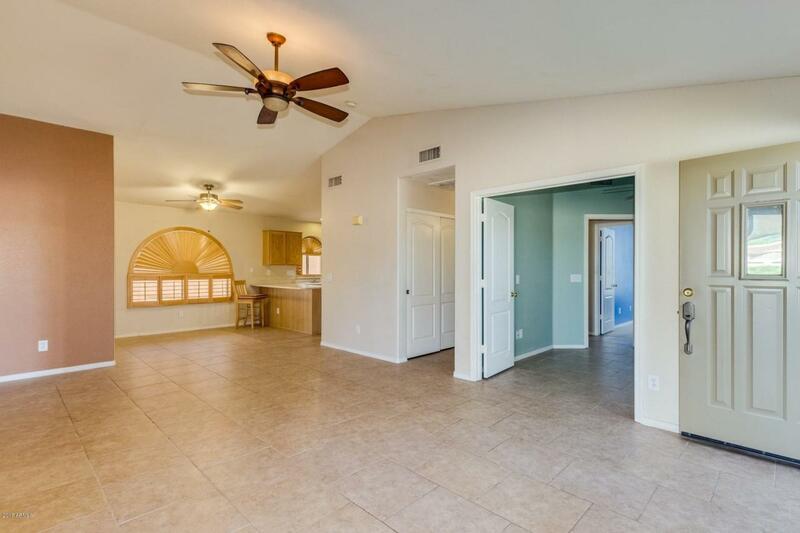 Upgraded tile floors throughout. Vaulted ceilings and custom paint. Eat in kitchen with breakfast bar and custom plantation shutters. New hot water heater, garage door opener, and pool pump. 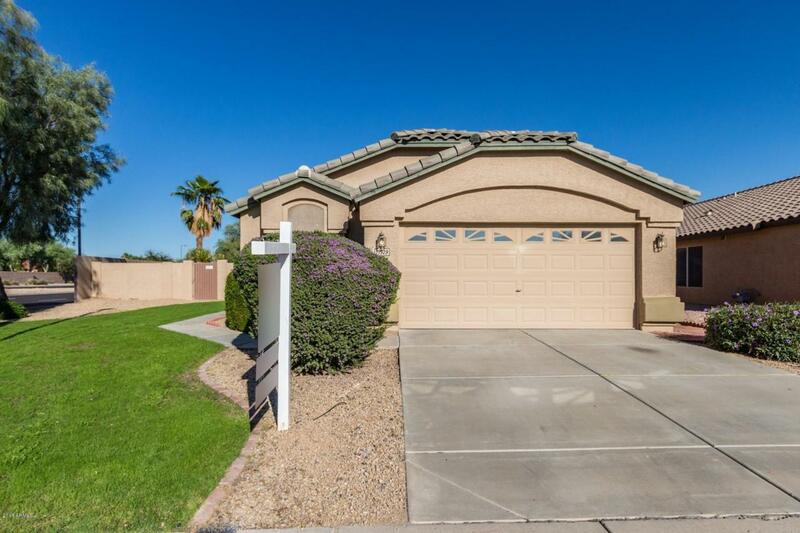 Master bedroom has back patio access, walk-in closet, double sinks, and separate tub/shower. 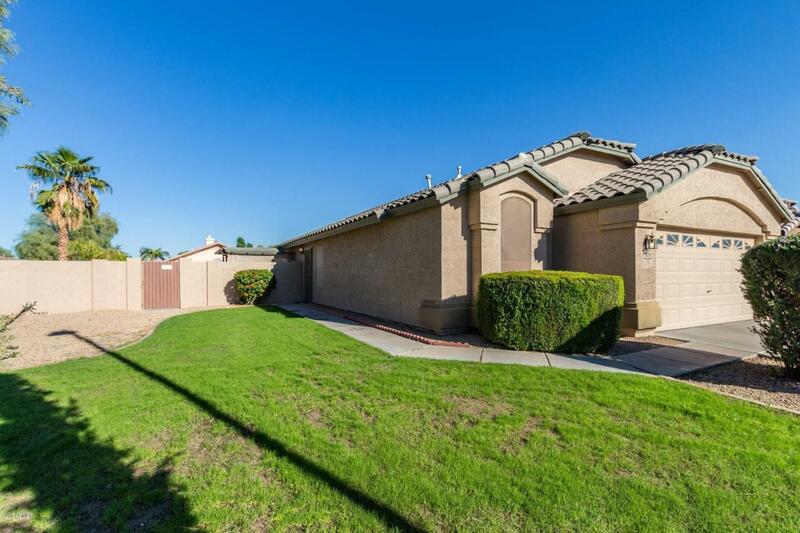 Enjoy the large backyard with sparkling pebble-tec pool, covered patio and fruit trees! New A/C unit!! !